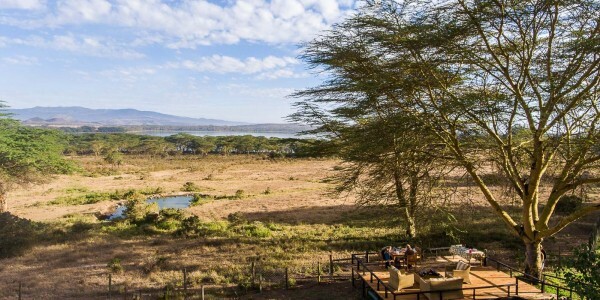 Location: In the Oserian Wildlife Sanctuary on the western side of Lake Naivasha, with panoramic views across the Great Rift Valley and Lake Oloidien. 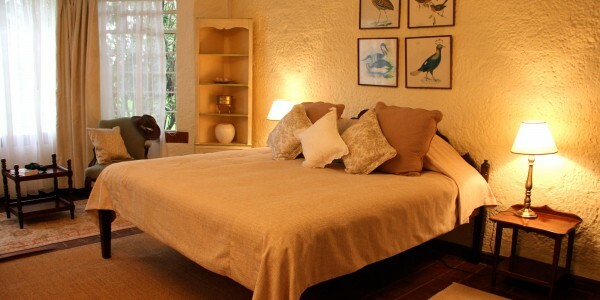 Rooms: 5 attractively furnished guest rooms: 3 double en suite bedrooms within the main house and 2 further double en suite bedrooms just beyond the swimming pool. Facilities: Homestead amenities including a sitting room, dining room, bar & library are found within the house. Guests can also play tennis or relax by the pool. Activities: Game drives in the Oserian Wildlife Sanctuary, guided walks, boat trips and a visit of the Oserian flower farm. Children: Children of all ages are welcome. 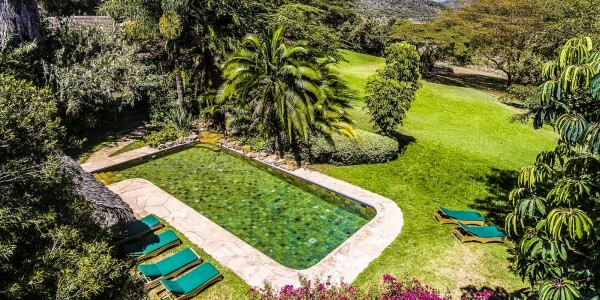 Our Opinion: Boasting panoramic views across the Great Rift Valley & the shimmering waters of Lake Naivasha, this five bedroom house is set amongst beautiful lush gardens & tended lawns, with truly breathtaking views of unspoilt Africa. 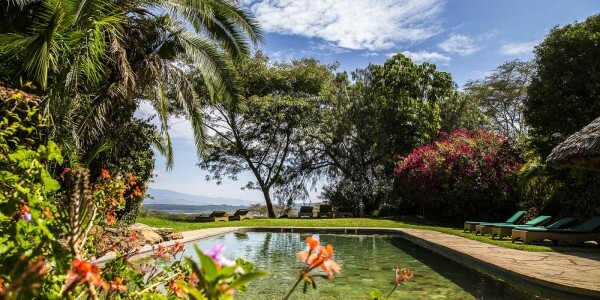 Kiangazi House lies in the Oserian Wildlife Corridor connecting the lake shore & environs with Hells Gate National Park & Maasailand beyond. 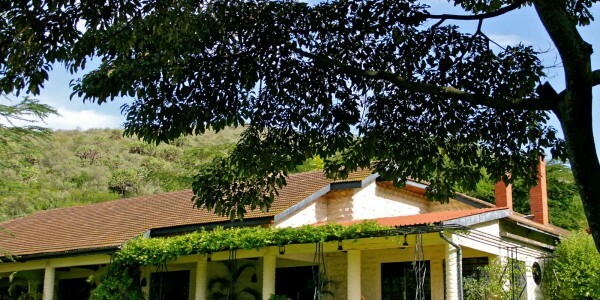 Adjacent to the corridor is the 20,000 acre Oserian Wildlife Sanctuary complete with a fascinating diversity of wildlife. Below the house guests can explore the lakeshore which is home to myriad birds including pelicans & flamingos. A Visa is required for UK passport holders. No mandatory vaccinations are required. You can follow our adventures and travel inspiration and share your holiday experiences with us through Facebook, Twitter and Instagram. Keep up-to-date with the latest travel trends, inspiration for future trips and competitions to win luxury travel vouchers. "We had an amazing time thank you very much. I was so impressed with your service everything ran like clock work !!! We could'nt believe how close we managed to get to the animals and how many we saw at Kieche, the staff we fabulous, the food was amazing in all 3 locations !! Thank you for all your efforts and organising such a wonderful trip for us". "We have just returned today. It was totally magical. Everything worked like clockwork, and both the safari and coast were gorgeous. Thank you very much to you and Frank for organising"
"I know it has been said but thank you again for all your hard work bringing this trip together for us all. It was just fantastic". "I couldn't have asked for anything more of World Odyssey on my trip to Ethiopia. They were extremely prompt and efficient throughout the complicated planning, and nothing was too much trouble. The Ethiopian agents, drivers and guides were knowledgeable, charming and helpful without exception, and Ethiopia lived up to our highest expectations." © 2018 World Odyssey Ltd.